Spring is on our doorstep and with that comes beautiful sunshine and daylight hours that stretch into the evening. As the weather starts to improve, so does our mood and desire to entertain in the great outdoors. 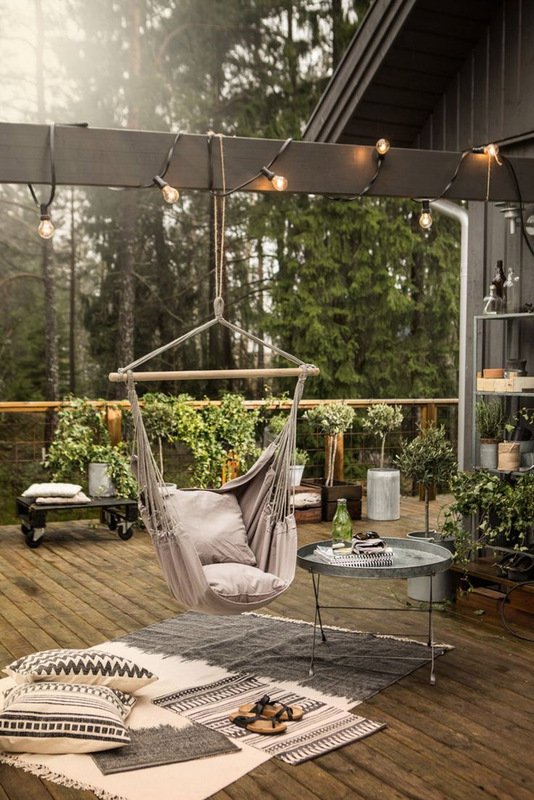 This week, in preparation for spring, I’ve collaborated with The Lighting Outlet, to bring you outdoor lighting ideas that can be used to beautifully decorate a garden space. Whether it’s a backyard wedding, entertaining friends or a quiet dinner for two, discover how to illuminate and amplify different areas of your backyard. Spike lights are a beautiful way to highlight a path in your garden or illuminate the perimeter and showcase distant garden beds. For this type of décor, LED spike lights are perfect. Not only do LED lights last longer, they now also come in beautiful, architectural shapes and styles that make them an asset to your garden's landscape design. Gone are utilitarian black or white spike lights. Now you can find spike lights in copper, rose gold, silver and even camouflage green for a touch of discreet design. Alternatively, if you want to emphasise a favourite tree in your backyard or a feature wall, a great solution is to place uplights at the base. Use a 5W uplight to really illuminate and beam light onto tall trees. This is statement lighting at it's best! There is something magical about the way string lights add instant warmth and festivity to any occasion. There are a few ways to decorate with festoon lights, depending on the event and location. If you're having a small balcony party, festoon lights wrapped around the balcony rails and ladders create a soft, intimate decoration. On the other hand, if you are having a big outdoor party, festoon lights strung across your backyard can create a lovely canopy of lights that is incredibly beautiful and elegant! For decks, backyard porches and patios, deck lighting or recessed step lights are a great option. For an easy way to safely illuminate steps or frame the entrance to your backyard area, use in ground deck lights on the underside of steps, or at either end of the step, to combine safety with style. In ground lights around the perimeter of your patio are another clever way to illuminate edges and boundaries. If your porch has a balcony rail, a popular method is to place LED strip lights on the underside of the rail to create a softer, fanciful illumination. Unsure where to place these? Generally, both wall lights and surface mounted downlights are brilliant for an alfresco dining area. Use up/down wall lights to highlight feature walls or to add ambient, indirect lighting. Meanwhile, flood lights are best up high, for example, on an awning or second story balcony, as a way to illuminate the entire backyard area. This is particularly helpful if you have a pool or are worried about security at night time. 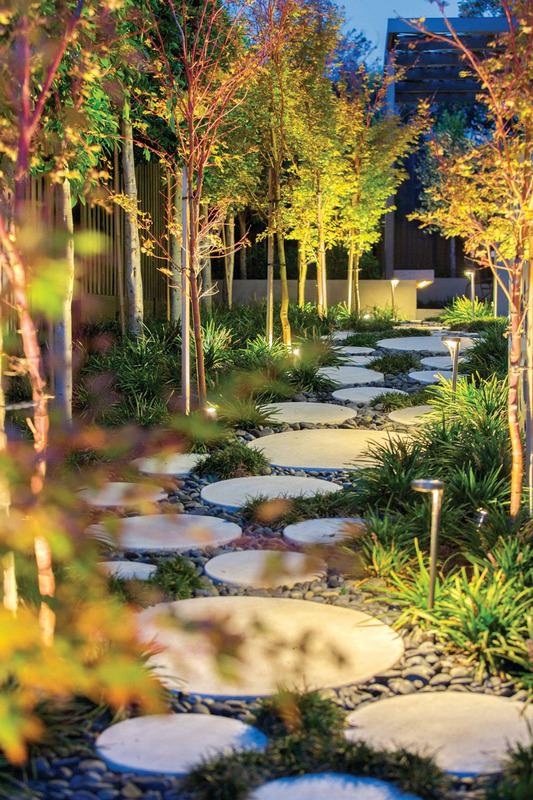 Lighting is an important part of landscape design. 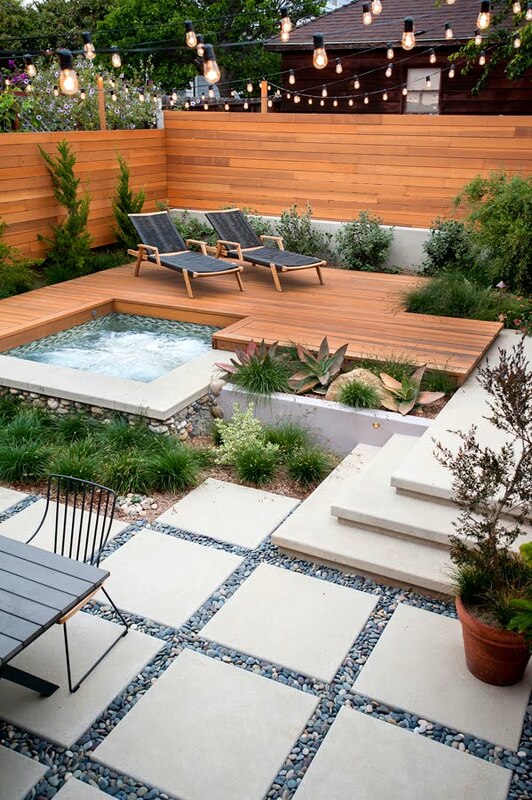 A beautifully designed backyard looks fantastic during the day, but you want it to look equally amazing in the evenings. Lights are a great way to bring your garden to life at night. Till next time... bring your garden to life this spring with outdoor lighting! This post was created in collaboration with The Lighting Outlet, a lighting superstore stocking the widest range of lighting products under one roof. As always, all thoughts and opinions are all mine and genuine and I only ever work with brands that I love and I think you will too.